Specifications :FR+L with gauge & metal guardSize : 3/4 Inch..
Air regulator with gauge in AR seriesSize : 1/4 Inch.. 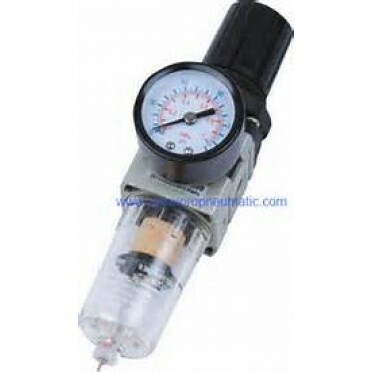 Specifications :Air regulator with gauge in AR seriesSize : 3/4 Inch..
Air lubricator with metal guardSize : 1/4 Inch.. Specifications :Air regulator in festo type seriesSize : 1/4 Inch..